Fish are typically considered a healthy, recommended food — except when they aren't. Concerning food supply, over 90% of the seafood consumed in the US is imported. The US Department of Agriculture recommends we all eat two meals with fish each week. Right now, Americans individually only dine on fish about once a week. And yet — our national consumption of seafood is enormous. The most recent data reveals we eat about 4.8 billion pounds of fish and shellfish a year — that works out to almost 16 pounds per person. We collectively appreciate the bounty of the water. Recently, researchers from the Centers for Disease Control and Prevention (CDC) released a new study that took a look at foodborne illness associated with fish — what is causing it, and where how it turns up on your plate. The CDC investigates reports of foodborne disease, including those associated with fish. Each year, about 260,000 people suffer some form of fish-borne illness. In this study, researchers used the CDC foodborne outbreak surveillance system to analyze outbreaks associated with eating fish between 1998 and 2015. Outbreaks are defined as instances when two or more people were made ill by an identified agent, or pathogen. There are also outbreaks with "unknown etiology" where numerous people are sickened, but for which researchers couldn't determine the cause, or "etiology." This study also includes outbreaks related to food that contained fish — like sushi. 857 fish-related food outbreaks caused 4,815 illnesses. Of people who were sickened, 359 ended up in the hospital, and four people died. 317 emergency department visits resulted from fish-borne pathogens that occurred in 42 states. The American territories and states with the highest reports of fish-borne illness were Florida, Hawaii, the District of Columbia, Guam, and Puerto Rico. Fewer than 1% of the outbreaks occurred over a multi-state area. Between 1998 and 2006 there were 62 food outbreaks related to fish, by 2007 through 2015, there were only 34, on average, per year. Seasonally, people were more likely to be sickened by ciguatoxin fish poisoning between April and August. What About Fish Makes Us Sick? Scombrotoxin: Scombroid poisoning was the leader of the pack for fish-borne food outbreaks in the US. Responsible for 349 outbreaks and 1,299 illnesses during the study period, the authors note scombrotoxin poisoning does not demonstrate a seasonal pattern. Scombroid fish poisoning occurs when fish that already possess high levels of histidine in their tissues aren't stored properly. When fish like tuna, mahi-mahi, mackerel, sardines and others are not consistently refrigerated, the growth of bacteria in the dead fish coverts the amino acid histidine into "histamine." People who eat these basically rotten fish suffer an acute allergic reaction within about ten to 60 minutes or longer. Symptoms include a sunburn-like flushing of the face, heart palpitations, itching, blurry vision, diarrhea, itching, and other symptoms. Treatment with anti-histamines helps, and worst case scenarios involve respiratory, cardiac, and blood pressure problems. While the CDC notes scombroid contaminated fish may have a "peppery, sharp" taste, or "bubbly" feel — the fish usually looks and smells normal. Anywhere along the supply chain, these target fish that are left out too long can convert to contaminated goods — canning, freezing, and cooking does not destroy the histamine. Ciguatera: Number two on the list are the Ciguatoxins, that caused 227 outbreaks and 894 illnesses over the length of the study. Ciguatera is caused by a species of microalgae called Gambierdiscus toxicus, and is another toxin that cannot be cooked, or frozen, out of a fish. According to the CDC, illness caused by ciguatera include symptoms like gastrointestinal, neurologic (like a tingling sensation, tooth pain or feeling as if the teeth are loose, itching, a metallic taste in the mouth, and blurred vision), and cardiac discomfort, and the illness is largely underreported. Fish eat the algae, and people eat the fish. The source areas for fish contaminated with this reef algae include the Pacific and Indian Oceans, the Caribbean, and the western Gulf of Mexico. Rising temperatures and spreading algae are likely to give this illness greater profile in the future. According to the CDC, larger carnivorous fish like grouper, barracuda, eel, and sturgeon, among others, can be risky menu fish. Symptoms of ciguatera can be lasting, and the CDC advises avoiding or limiting eating these fish — especially moray eel or barracuda. Salmonella: Overall, the CDC estimates one million foodborne illnesses are caused by Salmonella every year — and that includes fish. Number three on the list of fish-borne pathogens is the Salmonella bacteria that cause infection with symptoms like diarrhea, gastrointestinal discomfort, and fever. The study authors note the number of Salmonella-related fish outbreaks increased from six between 1998 through 2006, to 12 between 2007 and 2015. Salmonella is transmitted through undercooked and raw foods and by cross contamination with infected sources. Whether you are dining on fish or shopping for it, there are perilous pairs you might consider trying to avoid. Fish strongly associated with scombrotoxin include tuna, escolar, and mahi-mahi. 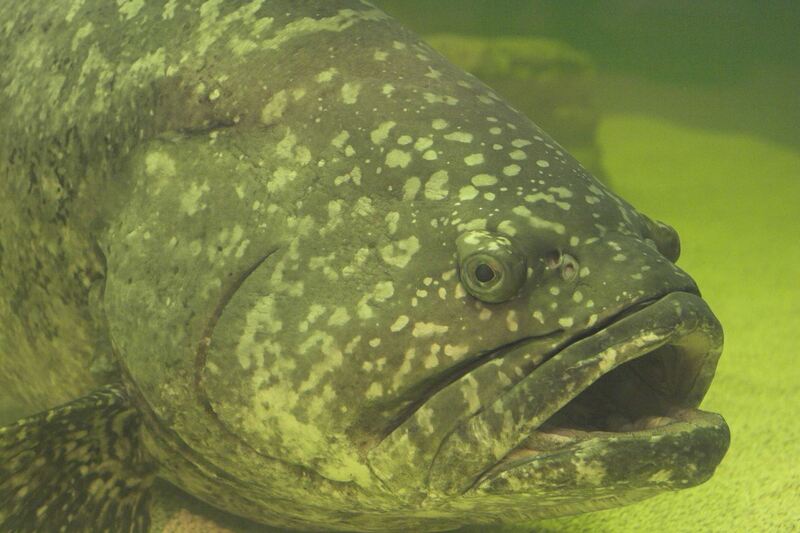 Ciguatoxin partners with grouper and barracuda and Salmonella shows up frequently with tuna. Raw or lightly cooked tuna was implicated with seven Salmonella outbreaks, as well as another bacteria, Clostridium botulinum. Just over half of the outbreaks occurred from food prepared in a restaurant, followed by private homes, and other settings. Regarding the source of contaminated fish, the countries of fish origin that had more than three associated outbreaks each include Indonesia, the Bahamas, and Equador. Because a large number of the Ciguatoxin-related illnesses occurred as a result of eating fish in private homes, the authors of this study question whether people who are fishing for fun are being advised to avoid large predatory fish sourced from tropical waters. For consumers, the advice not to eat raw or undercooked fish remains, but the responsibility to offer fish less likely to be contaminated, and to store those fish correctly, is the responsibility of those upstream from you, a good thing to remember the next time you eat out.